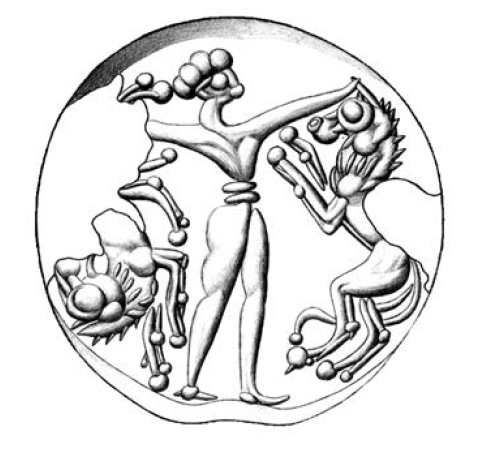 This contribution is concerned with labour in the heartland of the Achaemenid Persian Empire (from the end of the sixth until the mid-fifth century BC). Drawing on earlier studies that have touched upon aspects of the organisation and management of labour in the imperial core, special focus is laid upon the diachronic and synchronic contexts of Persepolitan labour and labourers. Waerzeggers , Caroline (ed.). 2018. Xerxes and Babylonia: The Cuneiform Evidence. Leuven: Peeters. In the summer of 484 BCE Babylonia revolted against Xerxes, king of Persia. In recent years, a debate has crystallized around the nature of Xerxes’ response to this challenge. This volume continues and expands this debate. It collects nine essays on the cuneiform text corpus dated to the period before, during and after the revolts. This material enables the authors to evaluate the nature of Xerxes’ policies in the sphere of society, science, religion, law, administration and economy against the long-term history of the region. The contributions are by Paul-Alain Beaulieu, Johannes Hackl, Michael Jursa, Karlheinz Kessler, Mathieu Ossendrijver, Reinhard Pirngruber, Malgorzata Sandowicz and Caroline Waerzeggers. Benjamin, Craig. 2018. Empires of ancient Eurasia: The first Silk Roads era, 100 BCE – 250 CE (New Approaches to Asian History). Cambridge: Cambridge University Press. The Silk Roads are the symbol of the interconnectedness of ancient Eurasian civilizations. Using challenging land and maritime routes, merchants and adventurers, diplomats and missionaries, sailors and soldiers, and camels, horses and ships, carried their commodities, ideas, languages and pathogens enormous distances across Eurasia. The result was an underlying unity that traveled the length of the routes, and which is preserved to this day, expressed in common technologies, artistic styles, cultures and religions, and even disease and immunity patterns. In words and images, Craig Benjamin explores the processes that allowed for the comingling of so many goods, ideas, and diseases around a geographical hub deep in central Eurasia. He argues that the first Silk Roads era was the catalyst for an extraordinary increase in the complexity of human relationships and collective learning, a complexity that helped drive our species inexorably along a path towards modernity. About the author: Craig Benjamin is Professor of History at Grand Valley State University in Michigan. He is the author of several books and numerous chapters and articles on ancient history, including Volume 4 of The Cambridge History of the World (Cambridge, 2015). Craig has filmed programs and courses for the History Channel and The Great Courses. He is a Past President of the World History Association and Vice President of the International Big History Association. Jacobs, Bruno, Wouter F. M. Henkelman & Matthew W. Stolper (eds.). 2017. Die Verwaltung im Achämenidenreich – Imperiale Muster und Strukturen. Administration in the Achaemenid Empire – Tracing the Imperial Signature. Akten des 6. Internationalen Kolloquiums zum Thema »Vorderasien im Spannungsfeld klassischer und altorientalischer Überlieferungen« aus Anlass der 80-Jahr-Feier der Entdeckung des Festungsarchivs von Persepolis,. Landgut Castelen bei Basel, 14.-17. Mai 20. (Classica et Orientalia 17). Wiesbaden: Harrassowitz Verlag. In recent decades, a number of local archives and other primary sources for the history of the Achaemenid empire have been made available for the first time, or have received new treatment. Foremost among these are the Persepolis Fortification archive and the correspondence between the satraps of Bactria and Egypt and their respective staffs. Several contributors to this volume try to analyze the events and transactions documented by these sources in terms of bureaucratic and administrative protocols and to interpret them within an empire-wide network. Recurring patterns reveal a system of administrative hierarchies and structures. Among other things, the Achaemenid administration managed supplying official travelers, assuring regular communication between the empire’s core and the provinces, and it used some of the same methods and institutions to manage supply, assignment and logistics of workers sent from the provinces to do labor service in the center of Persia. 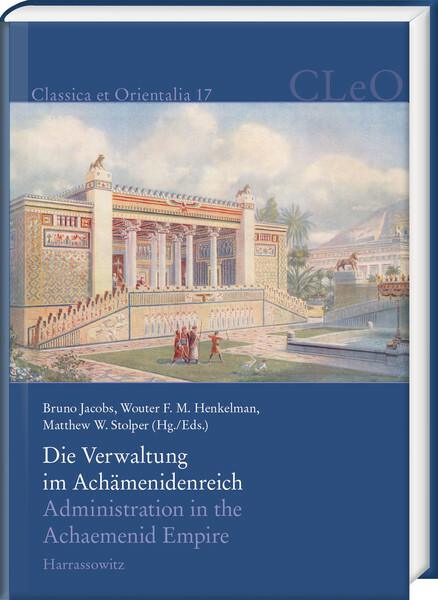 Another approach represented in this volume confronts these primary sources with information about Achaemenid imperial administration in classical sources, the primary material serving both as corrective and as analytical tool. Combined, these complementary approaches lead to a similar assessment: the imperial administration was not characterized by rupture and ad hoc responses to crises but rather by continuity and stability, and these long-term factors were important reasons for the unprecedented scope and endurance of this first world empire.